OWNERSHIP: Physical property - Ontario County; Operated by - the Ontario Central Railroad. The Livonia Avon & Lakeville Railroad owns a controlling interest of stock (see STB decision below). Tuesday and Thursday, although scheduling is as traffic warrants and can be almost any time, any day. INTERCHANGE POINT & RAILROAD: Shortsville with the Finger Lakes Railway, CSX and Norfolk Southern via the Finger Lakes Railway. 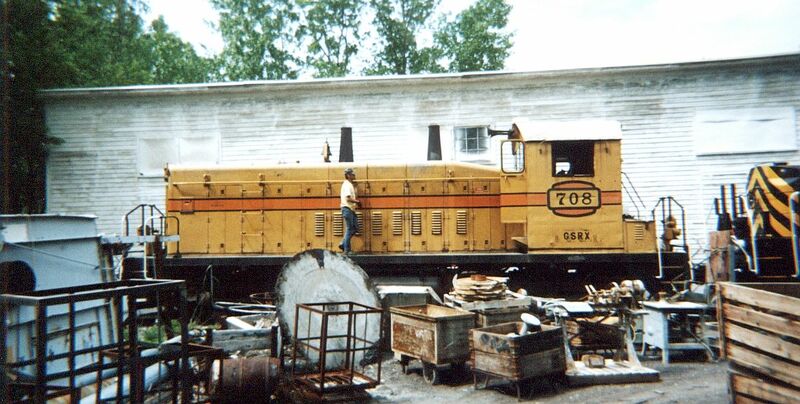 \1\ See Ontario Central Railroad Corporation--Operations-- Between Shortsville and Victor, NY, Finance Docket No. 29761 (ICC served Nov. 3, 1981) (Modified Rail Certificate), and Certificate of Designated Operator-Ontario Central Railroad Corp., D-OP 33 (U.S.R.A. Line No. 98/1022), Cancellation of Certificate of Designate Operation--Consolidated Rail Corporation, D-OP 6 (U.S.R.A. Line No. 98/1022) (ICC served Sept. 28, 1979). \2\ See Livonia, Avon & Lakeville Railroad Corp.--Acquisition and Operation Exemption--Steuben County Industrial Development Agency, STB Finance Docket No. 32941 (STB served May 22, 1996). VICTOR, N.Y. (AP) _ Warning to snowmobilers: Riding the rails can get you fined, if not killed. Don Brown, vice president and general manager of Ontario Central Railroad, says that's the message he and the police want to drive home as snow-covered tracks offer a tempting route. Brown has posted nearly 50 signs that say either "NO TRESPASSING" or "NO ATVs, CYCLES or SNOWMOBILES" along the 13 miles of Ontario Central tracks near Rochester. Freight trains make several round trips a week, sometimes two in a day. "People are obviously risking their own lives" as well as others' by trespassing on the tracks, Brown said. He noted the Christmas Day death of 22-year-old Justin Ordon after an Amtrak passenger train hit his snowmobile in Wilton, north of Albany. "We've got the police out," Brown said, to make sure that doesn't happen here. According to Victor Town Justice Edward Lyng, those charged with trespassing on the railroad can be fined up to $300 and/or go to jail for up to 90 days. Brown said recreational vehicles also can imperil others by damaging tracks. Snowmobiles can snag and break wires in the grade crossing system, he said, causing false warnings to motorists. Nine years ago, a train derailed in Wayne County because snowmobiles had packed snow onto the tracks. It then turned to ice and caused the train to flip off the tracks, injuring the crew. HISTORY: The line is a short section of the former Lehigh Valley main line opened in 1892. 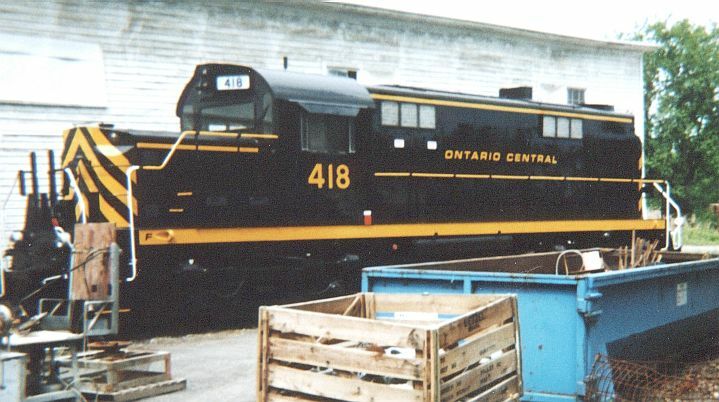 Ontario County purchased the property from Conrail, and Ontario Central, which is controlled by local shippers, started service on October 1, 1978. The LAL purchased a controlling interest of the ONCT via stock purchase in October 1998.